In today’s episode we’re tackling an important topic: How to create lasting fulfillment, no matter what in music teaching. Because music teaching can be a mixed bag, right? Our emotions can range from utter exhilaration to total exhaustion, sometimes in minutes which can ultimately lead to sadness about what we do as teachers. Sometimes it only takes one student to tell us that music isn’t important to them to completely throw ourselves off track and the effects of a few can be devastating to a career. So, in today’s episode of music teachers Q&A, we’re covering some initial thoughts and steps to form a framework and mindset to create lasting fulfilment and meaning in life as a music teacher or working within education. This is a summary of some of the thoughts I share based on my own personal learning and coaching I’ve received from some amazing mentors. Convincing students that music is “good for them” is like telling them to eat their vegetables…. Instead of trying to convince others, work on convincing yourself first because If your inner self is strong, you’ll radiate your thoughts and you’ll role model it rather than speak it. Learn to come up up with reasons that move you to do why you do what you do and saying them to yourself internally results in the care you show to your students. Remember you’re in control of what you focus on – it’s a personal choice to choose to focus on one negative or the many positives that happen to you everyday. Creating more empowering meanings for ourselves result in less stress, more gratitude and more fulfilment and we are in control. 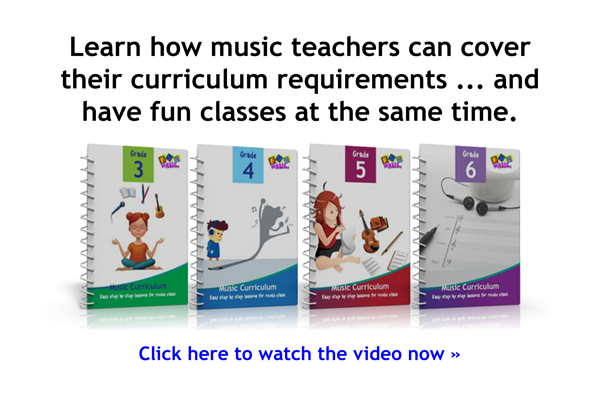 What are the biggest challenges you face as a music teacher right now? What are your hopes and dreams for now and your future as a music teacher? What part of this conversation was the most impactful for you? Feel free to share as much detail as you wish in your reply because ironically, being a music teacher in a busy school can often feel isolating and this is a place we can really understand together. Your story could provide a very powerful shift and new perspective for someone else in a similar situation and can ultimately help us all to keep more fulfilled in work and in life. If you don’t feel comfortable posting publicly here then you can email me personally at any time. Thank you so much for taking your personal time to read, watch and share this content. The time you spend here is something I never take for granted and I will always appreciate you for talking honestly and with the passion you put into your career. Now that I’m retired, I continue my passions of education and music by teaching piano lessons privately. Now, parents have to pay for private lessons if they want their child to experience music. I feel this is very sad since it is only people who can afford the lessons who can expose their children to music education. I am always open to new ideas of how to spread music and music education in the larger community. If you have any suggestions, I would be very accepting of new ideas. I really believe in your statement that music helps to educate the whole intelligence of a person! 1. My biggest challenge is finding the passion I once had. I have been teaching elementary music for 21 years, and I just don’t love it anymore. I love the kids, and enjoy being a role model for them, but I don’t always enjoy the process of teaching them music. 2. My hope is that students will regain the lost art of listening and respect, and that I will find that joy and passion again in my teaching. Thanks, Janice! Keep up the great work! Thank you Janice for once again being a person who helps me to continue to stay the course in what I do for the children of our school here in America. We are just a small private school located on the Gulf Coast of Florida, but I too at times have found myself thinking the same way as the person who first contacted you. I have them K-8th and I find as they move into the 6-7-8 many slowly begin to feel that music is not as important a subject to them as sports. I still have some shining stars that remind me every now and then as to why I chose music over being just another “University Preparations Teacher”. I once taught regular elementary and found it to be not as fulfilling as being a Fine Arts Teacher. Thanks once again for your website and your information. Thank you for this article – it was an especially hard day today and this encouragement was just what I needed! I have been teaching music for 38 years and it is harder to let some of the negative comments from my students go – I am continually striving to do my best job to be encouraging, trying to find music that my students will both enjoy and learn from, but sometimes those comments cut deep – I forget that middle school students (6,7,8) are very into themselves and wanting to be like everyone else, so they don’t always say how they really feel – they don’t want to be singled out or made fun of, just because they like to sing or enjoy general music class. Thanks for boosting me up today! Thank you so much for this video. I have been teaching music privately for over 30 years. I have often wondered if what I am doing is just the “fluff” of life; if what I am doing is actually contributing to making the world a better, happier, and more successful place. I have spent my entire life as a musician. So the question you pose boils down to whether or not I feel like what I’ve accomplished in my life has given anything important back to the world. I may not be a mathematician, or a rocket scientist, but I must say, “Yes, I have contributed to the good of our world. My work IS important.” Thank you for the insight about changing my focus. It isn’t really about teaching music. Music is merely the conduit for developing whole personalities and well adjusted human beings. What a wonderful message! What a great topic! For years I felt alienated in career and was often made to feel less than because of my choice of Music teaching. But, then I began to see the impact music was really having on my students and as they grew up and were choosing careers in the entertaining industry partly because of the opportunities they had with me be it choir trips, musicals, etc. they saw how excited I was and I hope a little rubbed off! Right now, time is my nemesis! When I am not teaching music, I tutor reading and or math and am on Leadership and with my Principal Administration Certification, I fill in as Principal. It does get frustrating and at times I feel I don’t put in enough time in planning the way I would like to do. These days, I am teaching music through history, example, Using African American History Month to teach about slavery songs; call and response songs, the Blues, Ragtime, Jazz etc and it is opening the eyes of my students to a little bit of what they are going through here on the Reservation. I love the hugs and smiles when the kids see me and say, we have music today right?! I get to teach music!! It is my joy!! Thanks for writing this article Janice, and encouraging the conversation and feedback from others. I’ve been teaching 11 years and am now in South Korea at an international school. Our students are generally quite high calibre academically as well as musically, but getting them to see the heart value (as I describe it) of music is a challenge. I look forward to hearing and reading more from you. Thanks for your video. I am not a school teacher but a private music teacher. I used to do private lessons in schools. I always found that my lessons were less important to the students than sport, art, maths, english, dance or other things going on at school. It’s sad, but the ones who really love it will put music first. That’s what I did. Once I discovered music it became the most important thing in my life. Everything else came second. We are all different and made for different things. I like how you said that students want to know that we care. Music is just as important as the other subjects at school. Some students will hate music. That’s okay. I despised sport and maths because I wasn’t any good at those subjects. But I loved running. Music makes our kids smarter. Music is important. Hi Janice. I teach K – 6 music in a government school in NSW. I work 3 days a week teaching curriculum music as well as running a choir, a band and teaching the instruments to build the band. Most of what I teach in the classroom will prepare kids to be ready to take up an instrument should they wish to do so. I am extremely busy however I am passionate about teaching music. I have taught for 20 odd years. Its only the last 10 that I have been a special music teacher. I can relate to all the comments made above however I am in no way negative about teaching. They are ‘where they need to be’ and I do my best to meet them where they’re at – emotionally psychologically and developmentally. Most of my lessons in stage 3 are practical with some theory thrown in. They love to play instruments. It is challenging teaching a guitar class of 30 but what we do is simple. In effect I change the ‘playing’ to meet the kids’ ability and interests. Try to go anyway out side that and it will not work and you have a ‘fight’ on your hands. Its only when I don’t give 110% that things fall apart. I find however, that developing a relationship with the kids and showing a little kindness and understand goes a long way Teaching music is not easy but it is a ‘wonderful’ opportunity. Your video came to me at the most appropriate time. I have been feeling discouraged and have been questioning my effectiveness as a music teacher of 30 years. I especially love bed the TED talk with Ken Robinson. He is so witty and amusing. I presently teach children with special needs and found his story of the fidgety young girl very moving….Realizing she was a dancer. Thank you for sharing this with me. Keep up the wonderful work that you do. Hi Janice,This is an important topic that thankfully I don’t struggle with currently but it was an issue for me as I began my musical career as a private music instructor (piano). I wondered if this work was really important and especially whether all the hours I put into personal piano practicing were worthwhile in the grand scheme of life. I now work in a private international school in Kenya and the school and parent community here highly appreciates the arts and also a balanced education/development of the whole child. I teach K – 5 music. I now think (know?) that I could not do this job where I have usually at least 10 issues running through my mind (I am singing, I am conducting, I am looking for response/engagement from all the students/I am assessing which students are “getting” this song/piece/exercise/I am watching the clock to see how many more of my hoped for activities will fit into the rest of the class period/I am wondering if student x is really sick/injured or not today again/I am hoping to hear my ppt video work correctly all the way through this piece/song…. etc. etc. take a deep breath – you all know this drill so well)…. I know (with a bit of reading of modern brain/education research) my brain can only do this (and rather imperfectly too) because I spent all those hours during my childhood/youth practicing the piano! (What more could I do if I had spent even more time?) 1. My biggest challenge is that I am trying to build this school’s elementary music program/curriculum but its hard to balance time spent on today’s lessons and this semester’s concert preparation with long term curriculum planning and resource location and organization. Your materials have gone a long ways in assisting with the latter! Thanks. 2. My dreams are that I can build something here worth repeating somewhere else (like a franchise?) and that at some point in my career I can teach other teachers to do this … especially in this country if I could. Kenya is loaded with natural musical capacity and talent but the national education system has very little room or interest in the arts/sports or anything non-core though there is national talk and desire for change there. 3. The part about personal focus on what we do as being part of developing people to their potential was a good reminder and well-put. I know that and its why I am so glad every day that I am an educator. In this day and age we are blessed to have so much information available on how brains work and kids function and learn and develop… which mostly affirms us about the importance of what we do from so many different angles. One of my cousins is an award-winning educator in Eastern Canada (and uses your materials)… but he won his award more for his personal interest in all the students rather than for the fact that he is an incredible musician and music educator which he absolutely is too – I wish I lived closer so I could study with him! All of us can learn to show that interest in our students better and better no matter whether our subjects are popular/core/”important”/funded well etc. Hi! I am a piano teacher and preschool music teacher, and no longer work in the public school system. However, I have some middle school aged piano students who are taking lessons at the insistance of their parents. To say they are unmotivated is an understatement! When they tell me they don’t think music is important, I ask them about the music they listen to, who their favourite performers are, have they seen a live performance etc. Then I ask them whether they think music is important to their favourite band/singer (well, of course!, they say) and what if their favourite performer did not think music was important? What if there were no recorded music? At least it gets their attention and usually makes them think a little bit – generally it opens up a dialogue between us, and we imagine how these artists got started in their career. I agree with others who posted who said that passion and caring about our students is important. Sometimes it is what opens the door to the closed mind. Hi I teach music in Primary School. I release teachers for their allocated release and teach music to levels Year 1 to Year 6. I weave the music lessons around themes and create a day programme that introduces an idea to develop. It is a creative journey for the children. They really enjoy it. Mix up things but make it a story. Sing, dance, move, act, mix in with literacy, teach notation, teach instruments, use the internet and give musical experiences..stories…genres..events..cultural music events.. Play with the elements of music. Mix in with instruments, sounds, themes. Make it work..it can happen as well as follow a curriculum. Attend workshops to increase ideas. there are many pedagogies of music that can be ud.